Mimiru is a Heavy Blade, described on Helba Gate as a tough-it-out-through-anything, devil-may-care fighter who is poor at planning things out and following through on them. 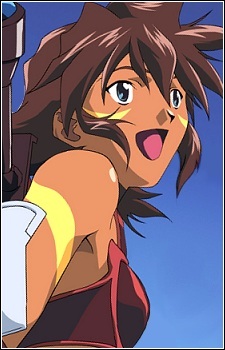 She is the first player to meet Tsukasa, and later tries to form a bond with him in order to protect him. She usually hangs out with Bear, trying to solve the mystery of Tsukasa's inability to log out. Although it was never the most popular, the .hack anime possesses some of the most memorable music in any anime. If you’ve never given .hack a try, its OST is the best place to start.